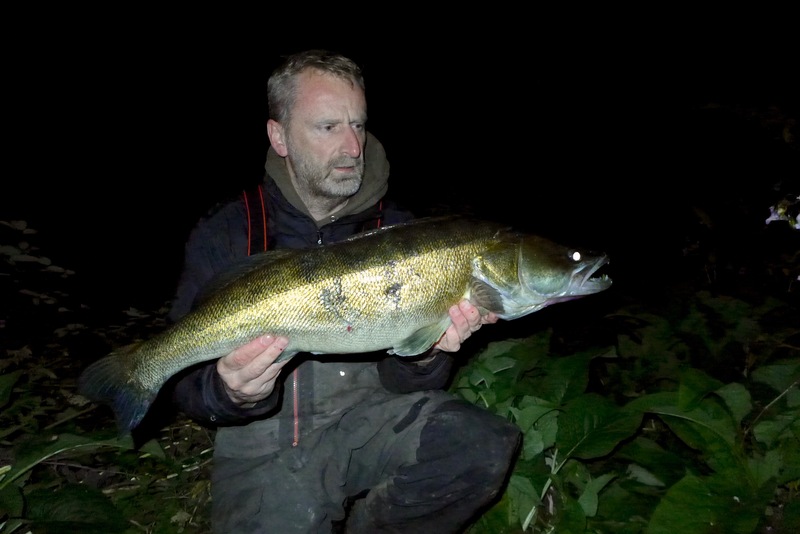 It’s at this time of year that my thoughts start to turn from Zander to Barbel. 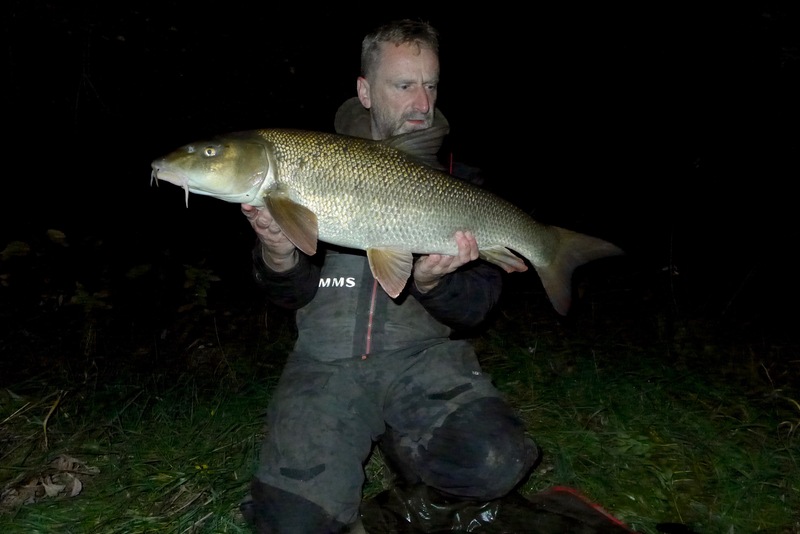 I’m desperate to catch my PB Barbel now, although not desperate enough to go and fish the circus of the middle Trent. I’m not knocking those that fish like that by the way, it’s just not for me. I’ve got my rivers and areas that i’m going to target and if they don’t bare fruit this year then I think next year I will seriously have to look at other options. I’ve had a few good Barbel already over the Summer but none that have come close to being the fish i’m after. With the amount of rain that we had this week it confirmed that now it was time to get serious in the hope of eeking out a biggie. With the rivers raging through I was literally fishing off my rod ends on a stretch of river that i’m not really familiar with. I wasn’t at all comfortable or confident for that matter and my confidence took an even bigger battering when I saw two otters. With the first big flood usually comes all sort’s of crap floating down river and that night was no exception. Tree stumps, branches, you name it, they all came floating past me. I could have stuck it out but with no bites I packed up at 10pm which is early for me but when you have no confidence then you might aswell not be there. Last night with the rivers dropping I headed back out but to a different stretch. Fresh tyre tracks in the mud led me to believe that someone had been there within the last day. I knew the area I wanted to fish and when I got there I could see the grass had been flattened and remnants of a cheese sarnie. Someone had obviously bivvied up overnight. I was a bit pissed off because no one hardly ever fishes this bit of river. Anyway, i’d got a back up plan so fished a different area but still in the area where I think i’ll get my pb. The temperature was much warmer than the previous evening and there was far less debris coming down thankfully. I had a lot of bites once it got dark which looked remarkably Chubby but didn’t come to anything. Then I noticed the left had rod tip to knocking away ever so slightly. It didn’t even register on the alarm but it definitely looked like a fish and not something caught on the line. I picked the rod up and wound down and it started to come in like a piece of weed before I felt a thump on the rod tip. A few more winds on the reel handle and nothing, but then another thump. There was definitely a fish on but it didn’t feel very big so I was thinking Chublet. Anyway it wasn’t until I got it under the rod tip that it decided to wake up and it was a Chub. Not a big one at 4.8 but a blank saver at least. It definitely felt like a night when something was going to happen though. Conditions were absolutely perfect. I could fish where I wanted without having weed and branches constantly pulling the bait out of position and I was ultra, ultra confident. You know that feeling when the air feels like it’s got some sort of electrical charge running through it? I don’t know if anyone else has had it or whether i’m talking shite but I really did expect the rod to get dragged in at any minute. Eventually the inevitable happened and it was on the left hand rod again. A twang on the rod tip and then a few little knocks. Not the rod getting dragged in as I expected but it was much more subtle, a bit like the other bites I was having. There was a fish on when I lifted the rod up but again it didn’t feel like a Barbel. If anything it felt like a big Chub and I had visions of a PB Chevin coming in. It came across and upstream fairly easily. As I got it within a couple of rod lengths it woke up though and turned round and headed like an express train downstream. Ok so it wasn’t a Chub after all. I could feel the fish flick against the beds of weed and everytime it did my heart was in my mouth in case the fish came off. Eventually I saw it boil on the surface a couple of rod lengths out but I couldn’t tell how big it was. When it did come into the torch light towards the net I was a little disappointed as it didn’t look that big. I let it rest in the net a bit while I sorted the scales out and I didn’t bother setting the camera up. I went to lift the net out of the water and my first reaction was “Oh my, that’s bigger than I thought.” What I hadn’t noticed when I brought the fish in was the depth of it. First impressions were that it was a 12+ so I let it rest in the net some more while I went and set the camera up. I overestimated it a bit as on the scales it weighed 11.10 but what a fish. Honestly it was a brute. I do get a lot of fish in the 11 pound bracket which I get a bit fed up with because i’m after fish quite a bit bigger but this was a truly stunning fish. The proportions, the fins, the capture and everything about it just made it a memorable moment. I love those short breeze block proportioned fish. In essence these moments are probably what fishing is about, rather than what the needle pulls round to on the scales. I rested her in the net for a good length of time while I got the rod back out. It wasn’t quite midnight and I was hopeful of another fish even though history has taught me that very rarely happens in this area. A couple more Chub bites followed and god only knows how they didn’t hook themselves and although I stuck it out until just after 2am I didn’t manage another fish. To be honest I didn’t want to go home I was that happy to just sit there even though I knew the chances of another barbel were slim. It does make me wonder whether it’s worth doing an overnighter though. Maybe i’m missing a trick. It’s all food for thought but that fish has certainly got my chomping at the bit to get back down there. Previous Article You live and learn. Next Article Keep your eyes on the prize. Another nice Zander well done.